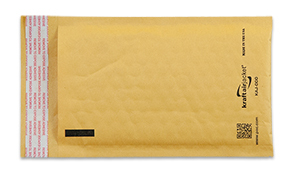 These bubble mailers are ideal for e-commerce shipments requiring extra protection during shipment. They're constructed with a tough exterior and a strong bubble interior. The Peel & Stick closure provides an easy to use and tamper-evident seal.